Thabang Mabapa is the founder of Selokong Sa Dimelana (SSD), which uses castor seeds to make castor oil and biodiesel. "We engage in a business model that cuts prices to gain an industry share and then make profits. We are targeting the biodiesel market and markets that use castor oil as a starting material," he explains. "We also collaborate with small scale farmers through contract farming, where we supply farmers with castor cake (organic fertiliser) for free in exchange for the farmer dedicating one or more hectares of land to castor seed farming - and then we buy castor seeds from them." In 2012 Mabapa started his research on castor oil as a feedstock for biodiesel and other oil-based products. 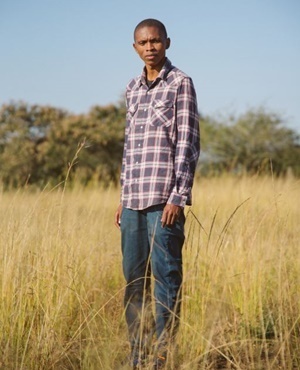 In 2013, during a visit to Muila village, Limpopo, he met a man who offered to teach him how to grow the seeds. SSD was founded and secured 1 000 hectares of land for castor seed farming. During that year, an agronomist did soil tests as the crop requires loamy soil of medium texture. Castor beans do well in either alkaline or acid soils, as long as the subsoil is permeable and there is good drainage. The tests were also done to ensure that the castor oil plant is not planted in an area that is subject to erosion. In 2014, SSD grew hybrid castor beans with seeds from South Africa and India in Muila village. This pilot-test demonstrated that hybrid castor beans are well adapted to South African soil, specifically in Limpopo. The average yield per hectare is around one tonne per harvest. Key factors for the pilot programme is evaluating the quality of the soil, seed rate, spacing plant population, irrigation, use of fertiliser, high-quality stock from superior genotype, use of pesticide, inter-cropping and harvesting. SSD did further research on castor oil and attempts to extract the oil manually. In 2015 SSD partnered with the University of the Witwatersrand. The organisation conducted further research on castor oil as feedstock for bio-products and discovered a potential patent. Castor oil was also extracted mechanically and sold informally. The Red Bull Amaphiko Academy supported the company financially and non-financially during an 18-month programme with them. In 2016 SSD started searching for funding and also developed 100 hectares for castor seed feed. "We entered entrepreneurial competitions as one way to raise funds. We were selected as one of the top 10 starts-ups in South Africa by Total. We won the Spark International (South Africa) ‘Changemaker’ of the year award in 2016," says Mabapa.